Everyone’s at a different point on their wellness journey. Whether you are simply interested in learning more about wellness or ready to get involved full-steam ahead, this website has information, resources and inspiration for you. 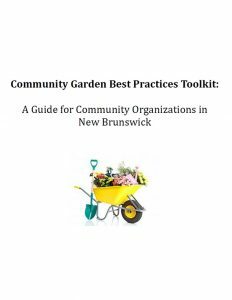 I’d like to better understand what wellness is and learn about wellness-supporting environments in New Brunswick. I am ready to take steps to improve wellness for those around me and start creating wellness-supporting environments. I want to connect with The Wellness Movement and help improve or raise awareness around wellness-supporting environments. Wellness goes beyond the individual choices we make. It happens when the people and places around us, support us. 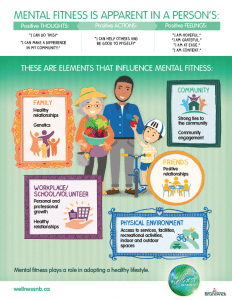 Wellness-supporting environments can be anywhere – from where you live, learn and work, to where you spend your free time. 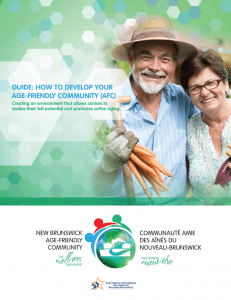 Wellness is happening all across our province of New Brunswick. Check what’s happening in your region and get involved. Add your own group’s activity. A whole collection of resources is available to help you in your path to wellness. Click here!